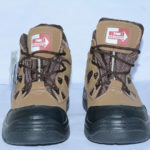 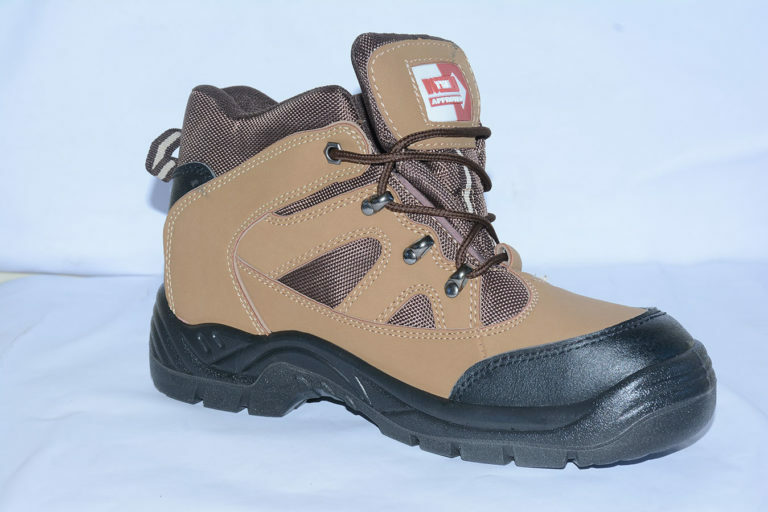 Workman Safety Shoes are High ankle safety shoes in Brown Color, which is Oil and Acid Resistant, Anti- Slip, Energy Absorbing Heels, Abrasion and Penetration Resistant. 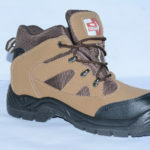 Upper: Barton Print Synthetic PU Leather. 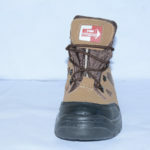 Sole: Black PU outsole with broad steel toe and flexible steel plate. 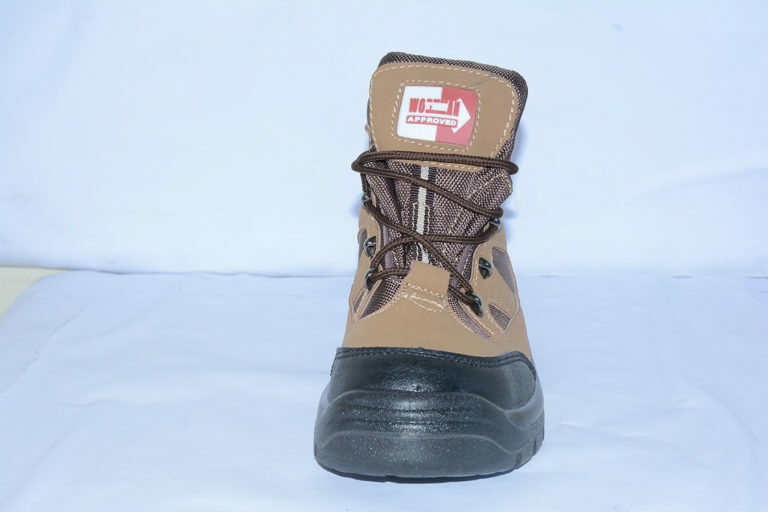 Category: Foot Protection, Safety shoe.